A limited-edition top that radiates the colourful personality and creative energy of Milanese trap star, Sfera Ebbasta. 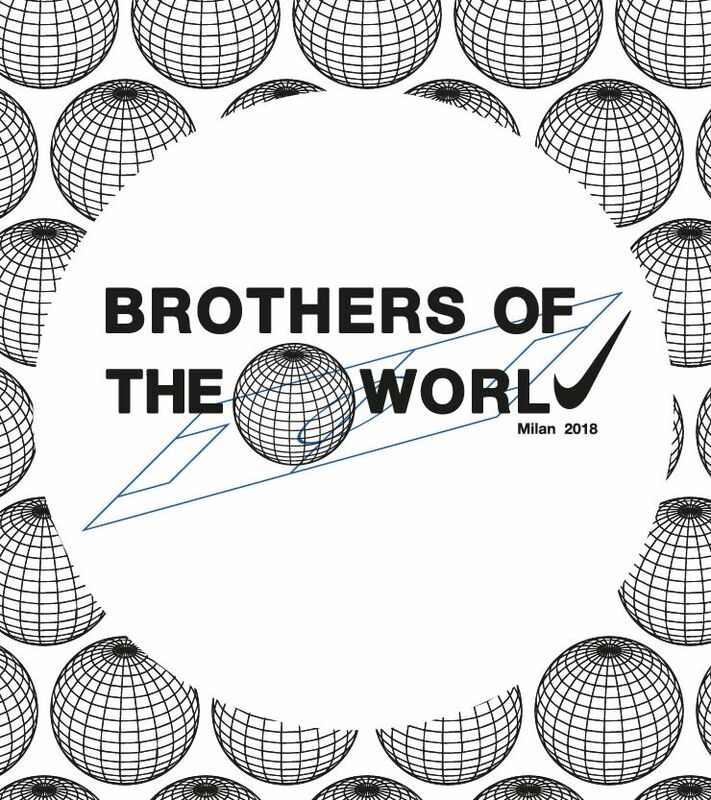 Created as part of our Brothers of the World project to celebrate 40 years of Nike football shirt culture, this shirt celebrates Milan's own Sfera. 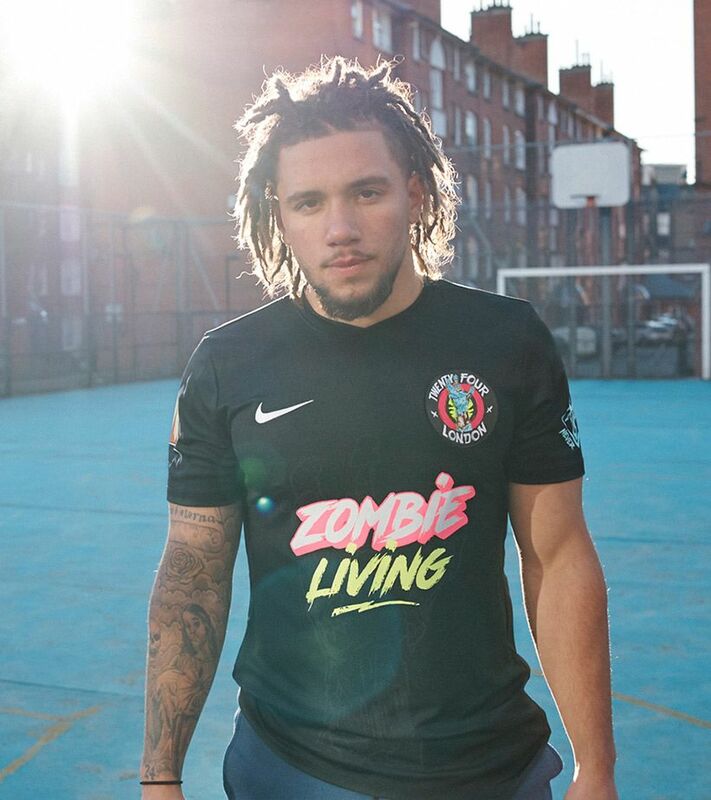 With a colour scheme inspired by the cover of his latest album, Rockstar, Sfera's kit blends music and football. 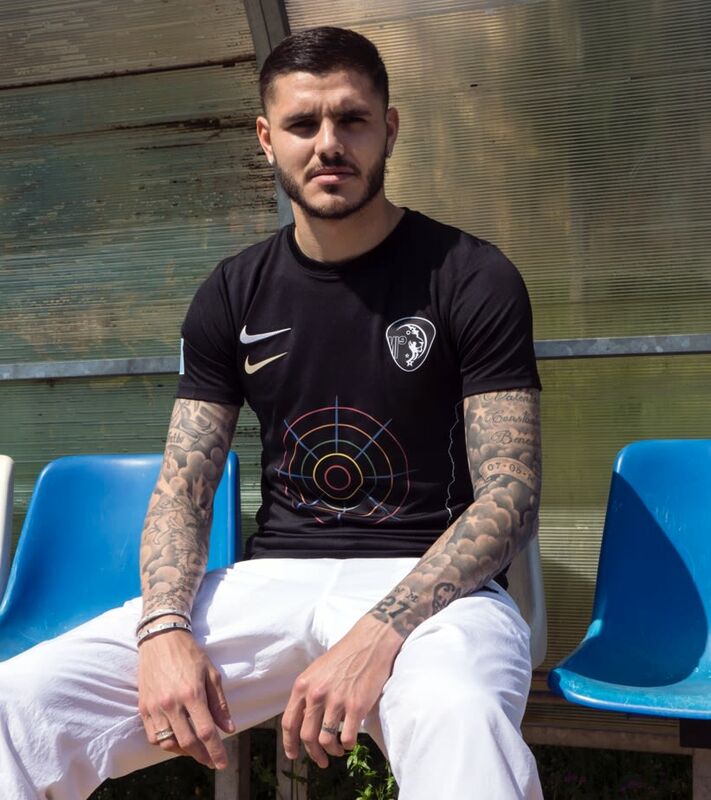 Referencing the lyrics to his biggest hit to date, the crest features a reinterpretation of Milan's iconic serpent, sitting atop a hypnotic spiral, symbolising how he alters the mind state of his listeners. 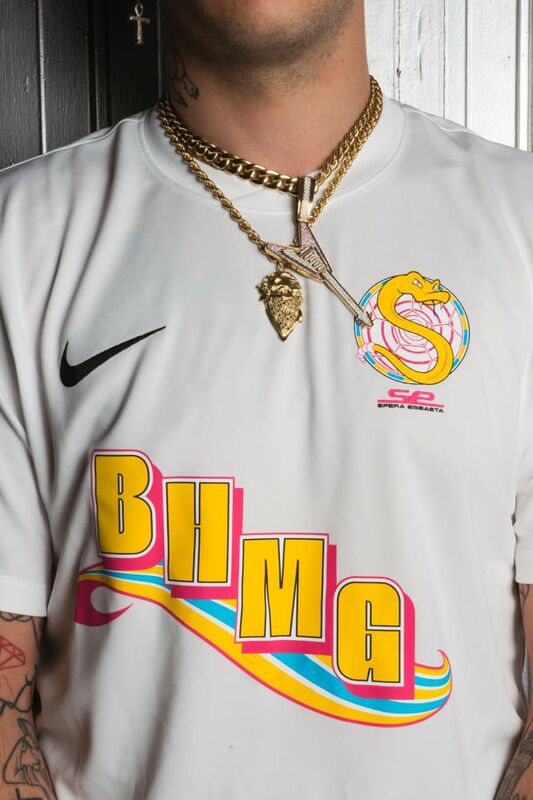 To celebrate his label, the initials of Billion Headz Money Gang are emblazoned across the chest with a bright pop of colour. 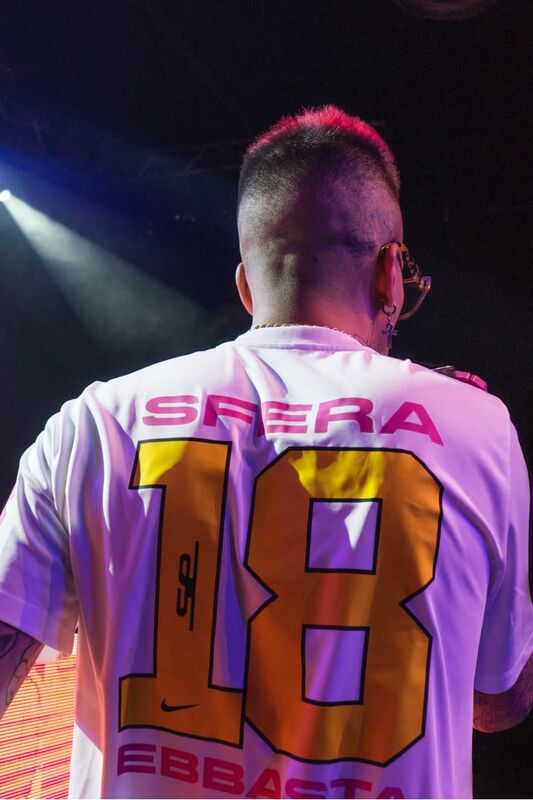 On the back, the same bright colours feature in the number, 18, a nod to the year Sfera has reached his biggest achievements— so far. Sfera Ebbasta was born Gionata Boschetti in 1992 in a small town just outside Milan. But his story really began at age 13, when his father passed away—and he coped with that loss by writing rhymes. For the next ten years, he perfected his craft, releasing videos online without much success. Undeterred, he and his close friend/producer, Charlie Charles, moved to Milan to pursue their dreams—and founded the Billion Headz Money Gang. 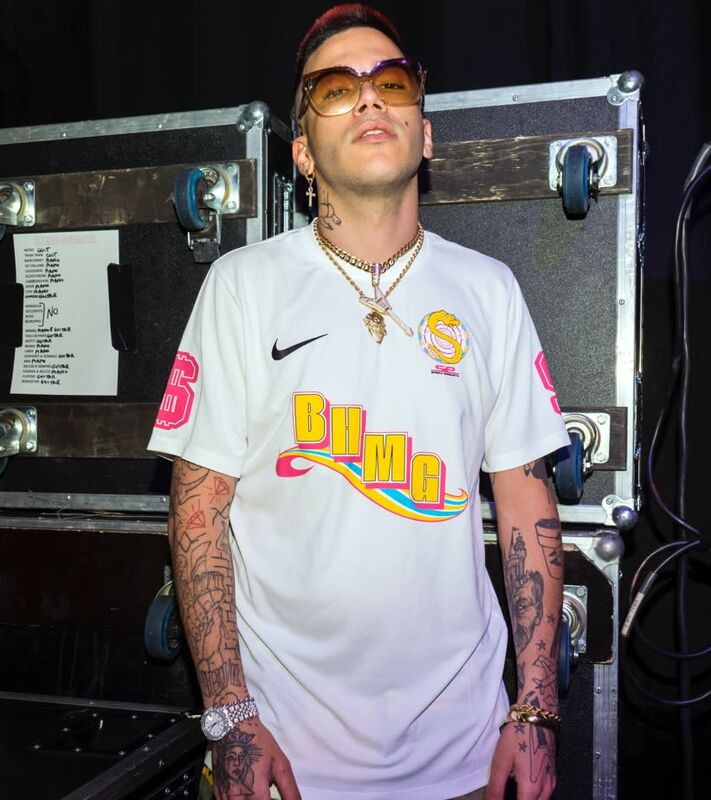 Together, they released Sfera's self-titled debut album in 2016, to critical acclaim. 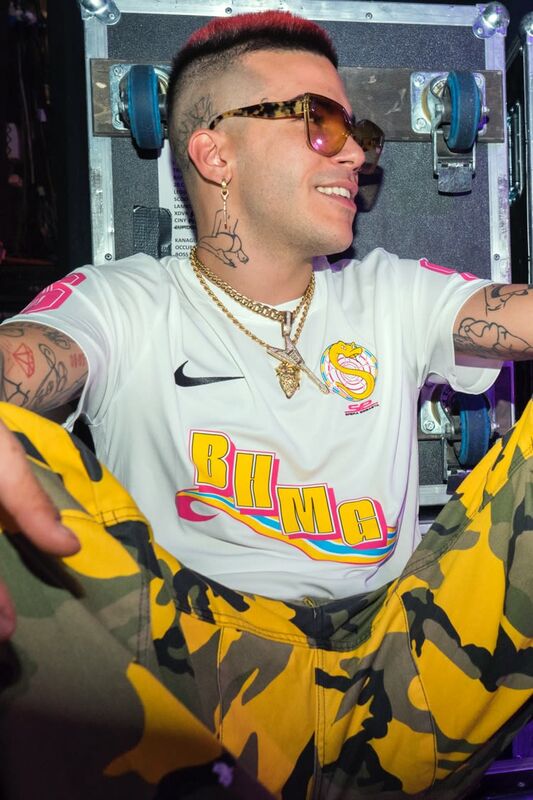 The waves it made are still being felt today as Sfera pushes himself to keep creating.